The modern Service Desk should be automated and self service. We live in a world of instant gratification. Mobile technology and cloud based IT delivery have created the expectation of instant support and a human service desk won't be able to respond to these expectations within the financial boundaries and constraints we have to deal with. How are we going to do 24x7 support to our end-users? 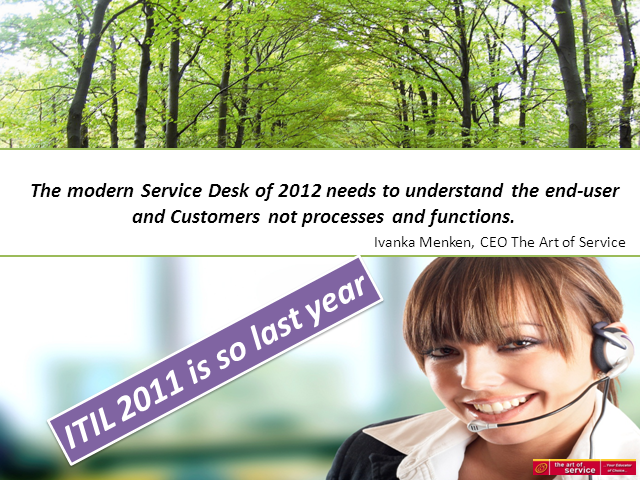 The ITIL books are based on old expectations and paradigms... it's time we catch up with the wind of change that is blowing through our corporate world! Expect to leave with examples on how the best in the business deal with this dilemma and a clear understanding of 2 completely different business models that are successful in our current financial climate.